Home » PS3 » PlayStation Home Redesigned! 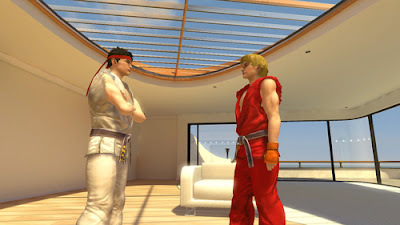 Today Sony Europe have announced that the new design of the virtual world of PlayStation Home for PlayStation 3 will be available from today. The redesign includes all-new exclusive gaming districts and social content themed to fit your preferences. Games, people and places are now easier to access than ever before and help form part of the biggest social casual gaming platform. Let curiosity guide your avatar through PlayStation Home and check out four unique new districts: Action, Sportswalk, Adventure and Indie Park which are all launching with new free-to-play games and exciting interactive content. There's something for everyone and by exploring each area players will encounter likeminded people with similar interests specific to that particular district. Meet up, chat, discuss the latest releases and launch into games you'll both enjoy within PlayStation Home and throughout PlayStation Network. Action: With a gritty, urban aesthetic, the Action district is the perfect destination for players looking for action, shooter and horror games. Check out free-to-play game Bootlegger 29 that brings real time first person shooter gameplay to an authentic Prohibition-era environment. Team up with other users to have your own adventures for free! Sportswalk: Experience the collective atmosphere and feel of a major sporting event with sports-themed games, special features, sports quizzes and trivia. Share your latest sporting achievements with friends over a game of pool, darts, or even drop into the poker lounge and see if you've got the nerve to beat your opponents and leave with your chips stacked high. Adventure: Immerse yourself in a beachfront jungle full of sights to see and adventure-themed games to discover throughout Adventure district. Themed around blockbuster title Uncharted 3: Drakes DeceptionTM, users can experience a Nathan Drake-style adventure, with their very own avatar. As well as these four exciting gaming districts, the new design of PlayStation Home includes fresh spaces where players can meet up and interact. Why not take a stroll down The Boardwalk, have a go at playing Cogs, one of our many new games, or hang out in Home Square (which has also had a makeover) and get to know the PlayStation Home community of PlayStation Network users? Long-term fans of PlayStation Home will be pleased to hear that along with all of this great new content there will also be the old favourites such as bowling and chess preserved for those that fancy some classic and nostalgic gaming. They will also have access to fun events run exclusively within PlayStation Home - everything from exclusive music concerts to community event nights.